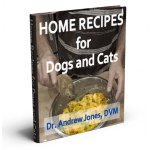 Home Recipes for Dogs and Cats e-Book: contains over 40 Dog and Cat Food Recipes that you can make at home now. e-Book (download only), in iPad/Nook/Kobo/Sony (ePub), Kindle, and pdf formats. Can You Treat Your Pet When They Need Your Help The Most? 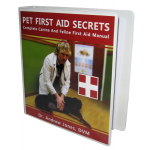 Pet First Aid Secrets: Complete Canine And Feline First Aid Manual is a 275 page manual (in e-book/digital format) on Essential Pet First Aid Skills for Dog and Cat Owners. Covers 64 First Aid situations - what to look for and what you can do to help in an emergency situation. Comes in ePub (iOS), Kindle and PDF (PC/laptop) formats. 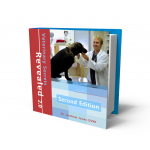 Veterinary Secrets Revealed, Second Edition is a 519 page Comprehensive Pet Health Manual on how to heal your dog or cat at home. 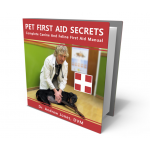 Includes detailed instructions on how to diagnose your pet at home, perform the main healing modalities you will need, and covers 93 Diseases and Illnesses, with a description of each disease and multiple remedies you can try with your own dog or cat. 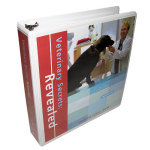 Print version is in Manual/Course style large binder format. Also comes with all download versions of the book (PDF, iPad/iPhone, Nook, Kindle). 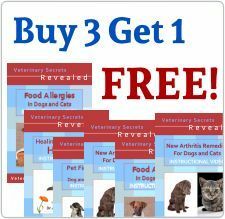 From the #1 bestselling author and former practicing veterinarian, Andrew Jones DVM, the only resource you'll need to finally start using natural remedies to heal your dogs and cats at home. 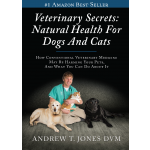 This manual draws from Dr Jones’ 17 years’ experience in veterinary medicine to provide a comprehensive, step-by-step guide to home pet care and disease remedies. Dr. Jones opens by explaining how he came to question conventional veterinary treatments then began to share his concerns publicly and openly educate pet owners, empowering them to provide their pets with quality, holistic care at home. Eventually, his efforts led to his expulsion from the British Columbia Veterinary College, resulting in a ban from practicing animal medicine.